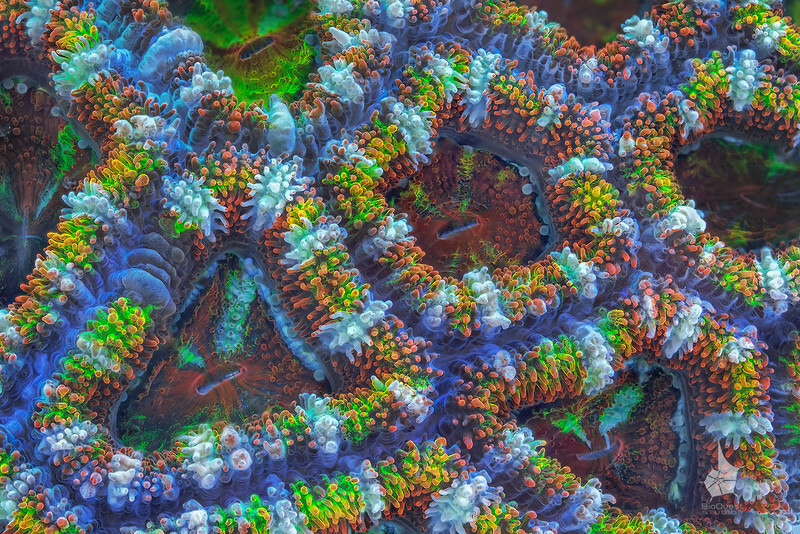 Acanthastrea lordhowensis displaying its vibrant fluorescence colors under full-spectrum light. The image is available in 3d here and in Phereo website. Side-by-side for those who are comfortable with eye-crossing. A large print can be made out of this photo, as the image is meant to be part of home or office decor. Check out this page for info.